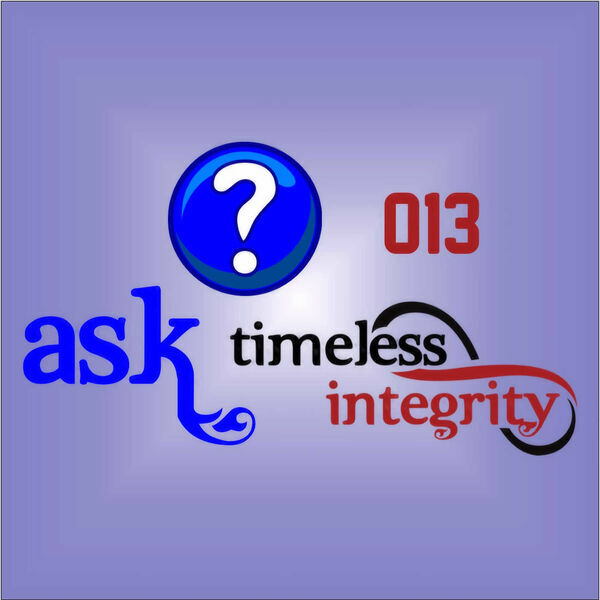 Ask Timeless Integrity - 013 - Is Watkins Better Than Other Network Marketing or Direct Selling Companies? 013 - Is Watkins Better Than Other Network Marketing or Direct Selling Companies? Speaker 1:0:01Welcome to the ask timeless integrity podcast. Each episode we feature a question or two that independent Watkins consultants I've asked to help them build a successful Watkins home business. My name is Steve Breadski and I am an independent Watkins executive and one of the timeless integrity field leaders. Before we get started, let me remind you that the answer to almost every strategy question that is asked. We'll start with two words and those are it depends. The reason I say that is because everyone's different. Everyone has different goals. Everyone has different skill sets. Everyone's current situation is different, so the correct answer for you, maybe different than the correct answer for someone else. What I do on this podcast is give my opinion and my opinion is based on my experience, but keep in mind that the different ways we answer these questions may or may not be appropriate for you and we recommend you certainly want to talk to your upline later. Speaker 1:0:53Your sponsor who knows you, knows your goals, knows you're what you're trying to do with the business before you would act in anything that you would hear about in this podcast. So let's get on with today's episode and today I want to address a question that actually come to me kind of two different ways this week. Um, and ultimately the question that is being asked is what makes Watkins better than other network marketing or direct selling companies? And usually they come to me and they say, you know, I've got a friend there in this other company and they say that they're better than Watkins because you can join for free and Watkins, you got to pay $30. All that stuff. Another person comes and they say, well, Watkins were better than Watkins because you can earn $100 on every new person that joins and they only pay $149 to join and you can earn $100 of that back. Speaker 1:1:44So we're better. That's better than Watkins because in Watkins he paid $30 and you get nothing. You don't get paid anything on that. When. And someone else says, well, you know, my company is better or this company my brother's in is better. Or this other one I'm looking at is better because you get a 30 percent discount on all the products you buy starting from nothing. And you know, I've heard in Watkins and you don't get any discount until you do a hundred and $50 a month and you know, there's all these requirements that just doesn't seem right. So this company that I'm looking at is better. Some people come and say, well, you know, the reason why a Xyz company is better is because they've got this awesome website. You just share this thing on facebook and they go to this website and it's got this professionally produced video and we've got a, you know, it's got a system to follow up and get them to join. Speaker 1:2:33You know, we got this awesome recruiting website. You guys, you know, you look like you're a little behind the times on that. Someone else might say, you know, the reason why, uh, I'm looking at this other company and I think they're better is because their products, they're very unique. There's nothing like them anywhere else. And they, you know, help with this health issue or they help with that health issue or whatever. And the products are just so much better. The reason why people are getting into this business, the reason why it's just exploding is because of these awesome, magical products, you know, someone else then comes and says, you know, our compensation plan, when you look at it, you know, we pay out over 65 percent of every retail dollar to the field and you know, you guys look like you're only at about 50 percent. Speaker 1:3:16And then. So we're that much better. The compensation plan is so awesome that, uh, you know, it just doesn't make any sense for me to join Watkins instead of this other company with a better compensation plan. So, you know, I've been in this business for more than 35 years in the network marketing, direct selling business, been in Watkins for 28, 28 years. Now I lose track. But I've seen all these companies come and go and some of them are still here that I've seen before. But, you know, the truth of the matter is you can look at just about any aspect of a company and you can spin it in such a way that it makes it look like one company is better than the other. Um, and I've read a lot of books, a letter, read a lot articles, typically people writing articles that are titled something like this. Speaker 1:4:04The eight things you need to know before you joined a network marketing company or how do you determine what's the best network marketing or direct selling company, you know, what are the things you want to look at it? And they say things like, you know, you need to check out the company background. How long have they been in business? Some people say it should be more than five years. Some people say it should be more than 10 years. Some people say that the founders should have this kind of experience or that kind of experience. Is that important? Sure. You know, it's important. However, it's not the reason you would join a company. And you know, I'm sitting here with Watkins, it's been around going on 150 years now and if we went just on age and we just went on, you know, the proven products in the marketplace, Watkins would beat all of them. Speaker 1:4:50But that's not the reason why you choose a company. There's way more things to look at than just the company background. It's important. Yes. Compensation Plan, you know, there's a lot of different ways to turn dollars back and forth between people buying products and such. But is the compensation plan, the percentages really that critical? You know, if you've got a product that you can't give away, you know, like let's just use an example that it's a, it's a hand and body lotion that purports to have some sort of magical powers and it costs $88. You know, for a two ounce tube that you use a month and it's $88 a month. Let's agree that even if you paid out 80 percent in profits to everybody, you know, it's just an awesome compensation plan. The percentages are awesome. At the foundation of that is an ADA dollar hand and body lotion that may be, is not going to be as well received in the marketplace as you might hope. Speaker 1:5:49Um, so 100 percent of nothing, uh, is not very good. Two percent of something, a really big number is better than 100 percent of nothing. So the compensation plan, while it's important, it's not the reason why you should select a network marketing or direct selling company. How about like support and systems? You hear things about that. Well, we've got this great training system. We got this great upline support. You know, we have all these meetings, we have all these online things, we do webinars, we have, you know, these conventions. We have meetings at hotels all over the place. You know, we've got these replicating websites and you can plug right into all these systems and you know, Kinda like the compensation plan. Sure. That's kind of Nice. But if what at what the foundation of that whole company is trying to move products to the end consumer, whether you're a consultant or a, you know, a member of that company or not, is it, that's kind of the most important thing. Speaker 1:6:50If you're trying to sell ada dollar, two ounce tubes, the hand and body lotion, you're only going to be able to do so much of that. I don't care how good a website, how good a video you have, how good of a compensation plan you have. So when we start thinking about that, it's really kind of getting down to what I would say and you don't hear this in the books and that is what's the size of the market. And what I mean by that is, you know, what is the demand for your products and your product line. And, and I'll tell you some network marketing, you know, the network marketing side, they don't even talk about the products because they're so focused on the system and the make good money in the compensation plan. The products, you know, they're, they say, hey, just use these instead of others by these because that's the fuel for how the whole system works and that's Kinda where you're getting down a path that's, you know, kinda shaky when the product doesn't matter. Speaker 1:7:44Um, the other thing I hear sometimes is about products and say you, if you're going to get into network marketing and direct selling company, you need to have unique products. Meaning you're the only one that has them, right? I mean, it sounds like a good idea. You know, that you've got the ability to, he, it's the only place they can get this wonderful product. Well, here's what you got to recognize about the world. If you have a wonderful product that maybe is unique, it won't be unique for long. If it really is that good, someone's going to create something similar and they're going to create it probably cheaper. And uh, you know, all of a sudden this unique product isn't unique anymore. So I don't know that it's really that important that a product is unique. I think what's more important is does anybody really want the product that you have? Speaker 1:8:36So you see some companies say, well, just transfer by, you know, we, we have all these different types of products, personal care, nutritional supplements by these from yourself instead of from the store that you already buying. So they're not looking for unique products per se, but by the brand, by this direct selling companies brand instead of products from a, uh, from a regular store. And the problem with that is usually the pricing is out of line. A lot of direct selling and network marketing companies are, uh, I've, I mean, you guys know, if you've looked at other companies, it's kind of crazy. Some of the pricing. And so that's one of the reasons why they want to say it's unique. So let's just use, you know, the hand and body lotion. I brought that up already, you know, the standard hand and body lotion. If you go to Walmart or to your drug store somewhere and you want to buy a hand and body lotion, you know, from Jergen's or a Vino or Nivea or um, you know, even something fancy, little fancier bath and body works. Speaker 1:9:43Okay? There's only so much that you're going to pay for a product like that, you know, in some cases we're talking about, uh, you know, less than a dollar an ounce, you know, so you've got a 12 ounce tube of hand and body lotion, you know, it's not $12, it's probably $6. Okay. And I just took a quick glance at some of the hand and body lotions that some network marketing companies have. And I'm not going to mention names. You guys can look pretty easy. Um, and I'm sure they all have special ingredients that make wonderful things happen to your hands and body. Um, I'm not for sure, but that's what they say. But I'm looking at products that are $50 for five ounces. I'm looking products that are $30 for eight ounces. And even that, that's not too bad, but that's still two, three, four times what the average person is willing to spend. Speaker 1:10:37Now I know that most of these network marketing companies have a better quality. They use better ingredients than maybe some of these brands that I mentioned that you see in the store. But there's, you gotta read, you gotTa believe, and I think you probably do that. The size of the market gets smaller and smaller. The more you get into really high priced. What's really commodities, you know. So there's, if you're selling a $50 hand and body lotion, I don't care if you're paying out all these discounts and all these bonuses, you're market is pretty limited. You know, it may still be pretty big, you know, some of these companies still do quite well. I'm not knocking them. But when I think about it, it's like, okay, my market is only so big for trying to sell a product of that size. Before Watkins, I was in a company, um, I won't mention it, but it was a weight loss nutritional company and the, you know, the, the, the, the part that was tricky as they sold a, a, a weight loss shake. Speaker 1:11:38It was back when the shakes were all popular, but that shake mix cost three times as much as what you could find something similar in the store and while I was able to sell it because a lot of people want to try everything, you know, it wasn't that much better than what they were buying in the store. Plus my market was only people that were overweight and my market was only people that were willing to try something they've never heard of before. So that's the other thing you think about when you're into a company that sells products that are unique and are expensive is okay. They've never heard of them. And you know, some people might be willing to try a $50 skin product. Um, other people, you know, they're, they're just, they're not willing to try it now. They might try something like that. Speaker 1:12:26If they heard about it, there was some buzz out there, they saw it on shark tank, whatever they might try it, but most network marketing companies and direct selling companies, they're paying us the consultants, the members to tell the story and some of them just haven't got it out there. So. So when I think about the importance, when you say what makes Watkins Better, and I'm not sure that Watkins necessarily is better than other network marketing and direct selling companies, but for me the thing that made the difference is we are selling and offering products that are priced maybe not right where the store products are. The jergens hand lotion, we have it be a little higher but we're not three to five times higher. We might be one and a half times higher. You know, we have a little bit of a uh, I think I do believe we have a better quality product and what you're finding in the regular stores, but it's not crazy expensive. Speaker 1:13:25And so some people say, okay Steve, these, these, your compensation plan, you know, you get a 15 percent discount, you know, once you've done $150 in a month. And some people say, well $150 is a lot and 15 percent isn't very much. Okay, well let's do play the comparison game for a second. If you're trying to sell a ADA dollar hand and body lotion and your requirement says you got to sell $150, you got to sell two of those. Okay, that's pretty easy for us. We've got to sell like 10 or 15, you know, hand and body lotions. Of course we got other things too. But you know, what's easier to $88 ones or 15 products that are similar price to what's in the store and what's easier. Well to me it was a lot easier to sell a $10 item than to sell an $88 item. Speaker 1:14:21Now maybe that's equal, you know, and maybe you know, you're more comfortable selling a higher ticket thing and selling the unique benefits, that's fine. But for me, you know, when I went to somebody and said, hey, you're already buying black pepper at the store, you're already buying something else. That store Watkins is a brand that maybe you've heard of, maybe you haven't, but it's, buy this from us, give it a try, tell me what you think. And more often than not, they find out it's better and they didn't pay $88 for it. They paid 10. So. So whether I'm paying 15 percent of something that I can do or whether I'm paying 30 percent of something I can't do, 15 percent is better to me. Okay. So I think about the pricing of the products as being very important and the band for the products and we see a unique product. Speaker 1:15:16Okay. I would rather have a product that is a better version of something people already know they want then a really good version of something they don't even know they want at all. You know? So even on, even though a lot of people take vitamins and dietary supplements, many people don't believe they should. And I don't care what price it is, I don't care what discount they get, I don't care what bonuses are paid out a, they're not going to buy that product, they don't believe they should. And I don't want to be in the business of trying to convince them that they need to. Okay. So another thing gets brought up sometimes as well. My company, uh, or, or the one I'm looking at or one of my brother in law's in, you know, it's free to join and you guys $30 to join Watkins that she's crazy. Speaker 1:16:03You know, we can do it for free. We set them up and they get the discount right away. And I'm like, okay, you know, number one, when it's free to join, it's easy to join. It's easy not to do anything and you can go the other way. Some people say, well, our business, you can get $150, you get paid $150, you get $300 worth of products. So it's a great deal. And then I get as the sponsor, I get $100 when they, when they buy this $150 package. Okay. Different philosophy. Um, but $150, let's face it as a tougher sell. Even if they think they're gonna make a bunch of money on that hundred and $50 because chances are they can't. Those we tell them it's worth $300, but they couldn't sell it for 150 if they tried just because the products are overpriced, they're hard to sell. Speaker 1:16:48There is no demand for the products. So that doesn't make $150 better because there's more money to be made. It doesn't understand they make it worse because it's higher price, it's just different. And I think Watkins is found the sweet spot in positioning the business as a $30 a year business. Meaning you're not paying to get a kit, you're not, we're not front loading you a bunch of stuff. You're paying $30 to get in the system and it's $30 a year. And if that's too much. Okay. I just know that I think the last time I checked, Costco has like $30 million subscribers that pay $55 a year to go shopping at Costco and every time I drive by this area down the road from where I live, where there's about five or six restaurants, you know, kinda pricey steakhouses and things like that. There's lines out the door of people paying $30 for a dinner. Speaker 1:17:40So I don't think the $30 is out of alignment and it's high enough that people aren't going to just jump in unless they've decided they want to do something. So I want to address this too because some people say you've got to have a consumable product, meaning something you use up. And that is important. I think, you know, if you were selling something that our lifetime guarantee and you only had one version of it, you know, you'd constantly be looking at selling to a new customer every month. Do you mean you wouldn't use it up every month yourself? But on the other hand, you know, to create something consumable that's overpriced, people aren't going to buy that either. Even the members, you know, you're only going to pay $40 for a box of laundry detergent. That's really, you know, you buy tide to the store for 20 or 15. Speaker 1:18:30Um, you're only gonna do that for so long, you know you're going to do that for as long as you believe you're going to get, make a bunch of money by getting other people to do it. So a consumable while it's important and almost everything watkins is consumed, all those, some things with Watkins, I mean you buy a tin of a petro, carbo savvy or first aid ointment, you're going to have that for a long time. I mean it just lasts a really long time. But Watkins does have several hundred products and even if you never bought the same thing twice, okay. And you had just bought a $100 where the products a month or a hundred $50 with a product of the month just for you and your family, you'd probably go a year or longer before you'd even need to buy something a second time. And by then some of the things you would have run out of, but again, some people say, well, I can't use up that much. Speaker 1:19:19Okay, I'll take it. I'll buy into that. That that's true with Watkins, but when the prices are so competitive and they're so real, that it's so easy to sell a little bit. Okay. Some people are like, oh, don't talk about selling. You know, we're in. We just want to use it and build a business. But let's face it, a with a company that's been around this long and has people that know the brand. You know, we talked about knowing the brand. There's a lot of people that know the Watkins brand. It's not that hard. I didn't get in this business to get out and sell the products, but it's good to know that people can. And speaking about selling, you know, if we think about a direct selling company, Watkins compensation plan is set up to benefit people that want to sell and don't want to recruit. Speaker 1:20:08But it's also set up to benefit people that want to recruit and don't want to sell. There are very few network marketing, direct selling companies that really work for both of those avenues. So for me, um, well I don't personally want to go out and sell a lot knowing that these products can be sold as somebody who's building an organization and wanting to build an organization, I'm very happy that these products can be sold and I'm very happy that when someone buys $100 a month because that's what, uh, the Watkins requirement is in order to get paid on your lines on just $100 a month. I'm very happy that there I don't feel like I've sold them in $88, two ounce hand and body lotion, you know, I've sold them a product that is worth what they're paying for it. And I don't feel guilty about that at all. Speaker 1:20:59And I found in a lot of other companies, you know, the turnover is great because people will only buy the, only spend that amount of money each month for as long as they're getting money back from, you know, the, the compensation plan. And once they, uh, you know, if they give up, if it's not as easy as they were led to believe, um, they tend to drop. They tend to quit buying that product because it's an ada dollar hand and body lotion come on. So anyway, um, one of the things I wanted to address because this was the other question that came up was, okay, what about Watkins? I look at the products and, you know, I'm not sure that they are 100 percent this or you know, purely that, you know, a lot of companies, network marketing, direct selling companies are selling the purity, they're selling the organic, they're selling the, you know, they don't have this. Speaker 1:21:54So they don't have that. And here's what I've come to appreciate about Watkins after 28 years, Watkins is not accompany. That immediately jumps and says, you know, we want to play the game where everybody's decided that it shouldn't have this ingredient. Watkins looks at, uh, you know, whether it's personal care, whether it's spices, whether it's cleaners, whatever, they're looking at more of a, I don't want to say mainstream, but mainstream plus market. Because once again, we're looking at trying to reach out to the largest market. That's what makes this business work, is the reaching out to this very large market people, lots of people that are interested in making extra money and don't want to overpay for things and people that want to be able to sell products at a price that makes sense. It really doesn't require selling. So you won't see Watkins be on the cutting edge of not having x, Y, Z, super duper duper, whatever the ingredient is, Watkins will typically be there when it becomes a little bit more mainstream. Speaker 1:23:02So for example, if you look at organic organic's been around for awhile, it has to do with pesticides and things like that. Watkins is in the process right now of bringing out an organic spice line now, years ago, they actually brought out a spice line. It was organic and in the world wasn't quite ready for that yet. You know, people weren't willing to pay a little bit more for organic. Well, they are now. There's a large market there now. And also the manufacturing has gotten better. The, uh, uh, the ability to get the raw materials to make an organic spice line is better. It's more inexpensive, it fits in with what Watkins is trying to do to reach this large market. So I appreciate Watkins a, trying to be as all natural as they can. They don't do it to an extreme and I don't know if this is making sense to you guys or not, but I, I find that they are going to fit the, the, the core of the market. Speaker 1:24:06Always leaning towards the healthy. Always leaning towards the pier but not going, oh, I just want to say Wacko. Not going crazy Wacko on it. I'm like, we see in some other companies. So, uh, once again going for the size of the market, if you're looking for the perfect, this non chemical, something, something, something, uh, we're not there today probably for what you maybe are looking for, but we probably will be there if the mainstream gets there. And I think we're seeing that with natural and organics now that the mainstream is getting their people do want that. Mccormick didn't come out with an organic line till just a few years ago. Well, mccormick is a big spice maker. Okay. And they're looking at it Kinda the same way. So. And finally the last question that kind of tied into what makes Watkins better not better was somebody that brought up the whole idea that says, you know, I like Watkins, I liked the products. Speaker 1:25:03I think the prices are awesome, you know, I think the whole company mission is awesome, but I just, I just can't get my arms around the idea that some of these products are out there in the stores. You know, in there, there's a handful of products in Walmart and there's a handful of products in this chain and there's a handful at this store and it's like, you know, that just goes against everything. I've always learned about direct selling and network marketing. You can't sell a product that is available somewhere else and you know, well companies that have said that for years and years and years until Watkins did it and I saw how that worked and how they work together. I didn't understand that. It actually is a good thing and the reason why is it all goes back to the size of the market. Okay. If I took my ada dollar hand and body lotion from Xyz company and I wanted to put it on a store shelf, I'm sorry, but I couldn't number one. Speaker 1:26:07Stores wouldn't let me. Okay. You know the stores just don't. You just don't walk up there and say, hey, I'd like to sell my stuff on your store shelf. No, you gotta they gotta sell a certain amount and they wouldn't. It would be a brand that nobody's heard of. It will be a price will be crazy out of alignment. And so what I found is that the reason why other direct selling companies, other network marketing companies haven't done it is simply because they can't. And it's not that they can't, that they want to, their prices are too high. Their story is, you know, they spun it so uniquely that they can't tell a story on a store shelf. The brand is not knowledge. Nobody knows what the brand is. So even if they wanted to put that product on a store shelf, they couldn't. And Watkins is the first one that's been able to do it successfully and it's because the brand name is known, not tremendously, but enough. Speaker 1:27:00The quality is good. The pricing is excellent to fit in with those other products that are on the store shelf. And you know, the great thing about it for us as independent consultants for Watkins is we get the benefit of that collective, a buzz about a product and about a brand. So the person that said that they couldn't get their, you know, they couldn't get around it. Sometimes this product I saw it was cheaper. What do I do about that? Well, I don't know. If Coca Cola came to me and said that, you know, you could buy coca cola through Watkins and we, you know, we cut you a decent deal, but chances are you might find it cheaper at Sam's club or something, but we'll pay you a little bonus for buying it. You know, I, I probably think about that. It might make sense because everybody's heard of Coca Cola now. Speaker 1:27:49Watkins isn't doing that and you know, that's not happening, but I kind of look at it that way. We now have, since this has been going on with Watkins for five to 10 years, we have a tremendous amount of people that we hear from as we're out there telling people about our business, tell them to tell about the opportunity that they didn't even know we were a network marketing and direct selling business. They didn't know they could make money by getting involved in this business with a product that they've only seen at the stores and that they tried a couple and they liked him. You know? So it's, it's, it's interesting that some people say, well, I wouldn't get into this because it's in the stores and while I will give you that, it's a different mindset. A, the reality is Watkins is the only you can debate whether you think that makes them better or worse. Speaker 1:28:43Okay? But, uh, my experience has been that it's better in many ways and worse than others. But I like it. And I like it because what it does is it brings some solidity to the overall company, you know, from a financial perspective. And the other thing is I have never had somebody in probably the last five years. It says, Oh, you're one of those network marketing Mlm pyramid type things because people don't associate products that they've seen in the marketplace with a pyramid scheme. They don't, they associate them as a brand. They start looking at Watkins, like a procter and gamble. They started looking at Watkins, like a, you know, a Coca Cola, not like a x, Y, Z, this, that, and the other company. So I hope that's been helpful. It's, it's, it doesn't really answer your question as to what makes Watkins better because it's a matter of opinion. Speaker 1:29:40Let's face it it. But the key ingredient here is the size of the market, the pricing, who really wants this business. And so as a network marketer, if you're looking at building this, you know, I want to make a lot of money with this. I want to build a network marketing business. The fact that there is a large market and there's a lot of people that would be open to number one, buying the products. Number two, maybe getting involved to share and build a business makes your opportunity so much bigger. Thank you everybody for tuning into today's podcast. Once again, it's produced by timeless integrity, which is the official training and support for all Watkins Consultants. It's coordinated by the top leaders like myself, but we're independent Watkins consultants just like you. So, but keep in mind if you're listening to this and it's not a 2018, uh, chances are things might've changed. And also I reserve the right to change my opinion because these really are ultimately just my opinion. So once again, always check with your sponsor or upline leaders before taking action about any kind of strategy we talk about in this podcast. If you have a question you'd like us to consider for a future podcast, email it to ask timeless integrity@Gmail.com.